To enable/disable MIDI Note chasing, go to Edit > Preferences > Project > MIDI and select MIDI Event Chase on Play and Include Note Events. 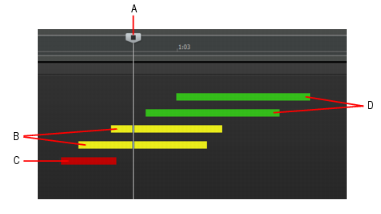 When Include Note Events is enabled, SONAR analyzes the project and includes MIDI Note events that start before the point where playback begins. If Include Note Events is disabled, only MIDI Note events that begin after the playback location will trigger. When starting playback on a measure boundary, and the project contains syncopated notes that occur slightly before the downbeat. When starting playback in the middle of a project that contains long sustaining notes that trigger a synth pad or arpeggiator. Individual MIDI cell content can be edited with the Step Sequencer, and audio cell content can be edited with the Loop Construction view. Select an audio cell and press ALT+7. Select a MIDI Step Sequencer cell and press ALT+4. If you want to edit MIDI cells that don’t contain Step Sequencer content, you must first convert the MIDI data to Step Sequencer data. To do so, select the cell(s) you want to convert, then right-click the cell and select Convert MIDI Clip(s) to Step Sequencer on the pop-up menu. To create a new Step Sequencer cell, right-click an empty cell and select Create New Step Sequencer Cell on the pop-up menu. To insert a new MIDI row routed to a new Instrument track, right-click a row and point to Insert Instrument Row on the pop-up menu, then select the desired instrument. Rapture Session continues to evolve: version 2.0.5 offers several new features as well as some fixes. Including a graphic that indicates the instrument type has always been regarded as one of Rapture Pro and Rapture Session's more helpful features. One such graphic is now provided for poly synth programs too. And since there’s a Poly Synth instrument page, why not include some new sounds to go along with? Why not, indeed—there are now 50 new sounds with the core install. Rapture Pro now remembers independent locations for Load Program and Save Program, which solves the potential annoyance of having to switch back and forth between folders when loading and saving. The multisample loading process is now multithreaded, which gives much faster loading of programs with samples that take up lots of memory. The introduction of resource sharing means resources aren’t reloaded if they’re shared with the previous program. The bug where the eighth instrument control retained the settings from a previously loaded program has been fixed. Improvement to the authorization process for both Mac and Windows computers that are on slower connections.